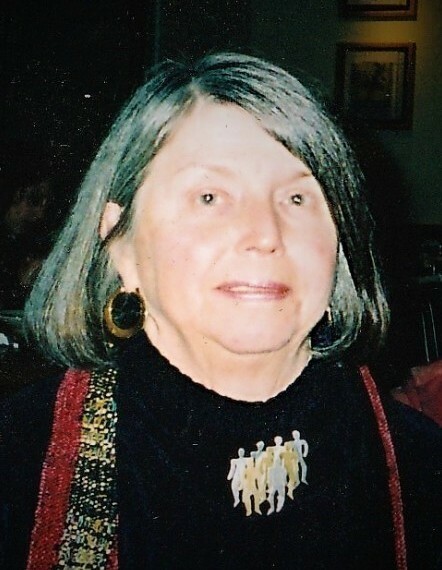 Patricia Ann Lansford, 84, of La Porte, passed away on Saturday, February 9, 2019 at Franciscan Alliance. Patricia was born July 18, 1934 in South Bend to Donald and Vera (Hirsch) Whiteman. She graduated from Riley High School in 1951 and Indiana University School of Nursing in 1955. There she met her husband, Kenneth G. Lansford, M.D. They were married September 18, 1955 in South Bend. She worked many years as an operating room assistant for her husband and Dr. Aileen G. Stiller. She also volunteered at the Red Cross Blood Bank. Her passions were her family, her horses, and the arts. She could often be found collecting authentic American Indian jewelry and pottery or enjoying fishing in Wisconsin and Canada with her late husband. Pat was an accomplished artist. She won several showings and hosted a few of her own shows at Purdue NW and The Presbyterian Church Art Show. She was a member of Indiana University Alumni Nurses Association, Door Prairie Questers, and La Porte Red Hat Society. In the past, she was also a member of LP Service League, a Camp Fire Girls President and leader, La Porte & Michigan City Art Leagues, The Art Barn, and the Beechwood 18 League. Pat is survived by daughters, Gail (Jeffrey) Johnson and Susan Kay (Larry) Hackett; her four grandchildren, Aaron (Megan) Johnson, Alexia (Zachary) Baker, Derek (Cassandra) Johnson, and Neil (Samantha) Hackett; and her 10 great-grandchildren, Jeffrey Johnson, Sophia Hackett, Theo Johnson, Brady Baker, Caleb Baker, Louise Johnson, Drew Baker, Charlie Johnson, Kennedy Hackett, and Ainsley Johnson. She was preceded in death by her parents; sister, Billie (Joe) Kapshandy; and her husband. A Celebration of Life Service will be held at 4 PM (CT) on Friday, February 15, 2019 with a time of visitation from 2 PM (CT) until the time of the service at Cutler Funeral Home and Cremation Center.